Magnificent 3/2 waterfront pool home! Did not flood! 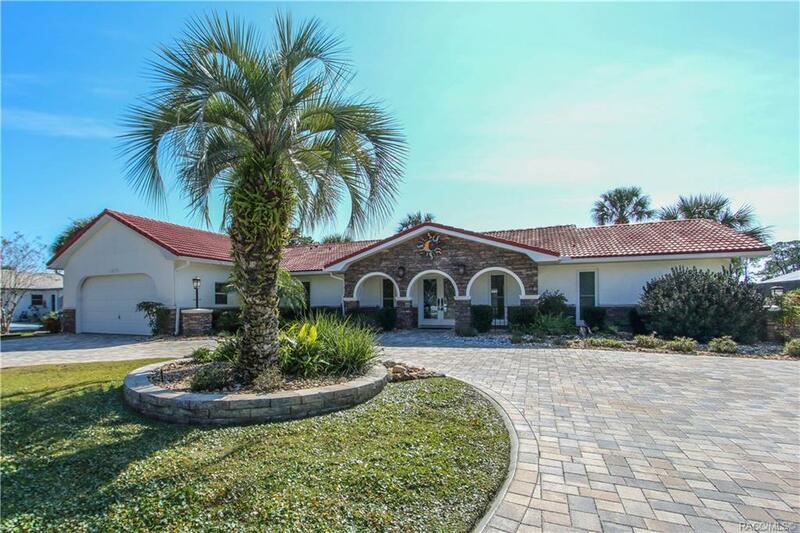 From the spectacular curb appeal to the private concrete boat launch on one of the largest lots in Dixie Shores, this is truly one of a kind. 104' ft of waterfront access. A 32,000.00 covered boat dock with attached floating dock, and electric boat lift. Stunning home is an artisans delight! From the custom stained glass doors to the inlaid tile designs. Craftman quality, complete updating since 2013. 250,000 in renovations post purchase. Interior features highlight a 13x25 climate controlled bonus room off the 2 car garage. Recent improvements include DOUBLE sea wall, hurricane windows (lifetime warranty), pavers in semi circular driveway, pool area, and long walkway to fire pit and docks. Extended roof over lanai, new irrigation, multi-colored lighting on palms, solar lighting throughout, new sod, and tropical landscaping. Home has a termite warranty bond until 2021, and a yearly service contract with Bay Area Electric. Directions: From U.s. 19, Head West Onto Ft Island Trail. Turn Left Onto W. Dixie Shores Dr. Turn Right Onto W. Bayshore Dr. Home Is On The Left.